Most investors hate seeing money sitting idle even if they intend to use it in the coming months. Lawyers seem to really hate it. I’m inundated with questions asking where to park short-term funds, even though I’ve already written a couple of articles on the topic. The conventional wisdom is that any funds you’ll need in the short term should be parked in a savings account. But not everyone is sure they’re going to need the funds immediately. It may be for a house downpayment or a future renovation project where it’s acceptable to you to delay the purchase if the savings lose some value. Below is a list of ideas for what you might want to do with some short-term savings. Park It All In Savings Account. Let’s start with the conventional advice. Have some cash that you want to use shortly but want to earn a little interest? Open up a high-yield savings account at a bank like Ally or Capital One and collect whatever interest you can. You’ll be losing purchasing power against inflation, but you’ll be confident that the full amount of the money will be there when you need it. Remember to limit accounts to no more than $250,000 to ensure the total amount of the deposit is covered by FDIC insurance. Find a Money Market Account. Money market accounts may pay slightly more interest than a savings account. Currently, they’re paying close to what you could find with a 1-year Certificate of Deposit but without the penalties associated with needing to withdraw a CD before its maturity. Upgrade to a Reward Checking Account. Willing to do more work? Find a reward checking account that is paying slightly more than a savings account (perhaps up to 2.5%). Reward checking accounts require you to jump through a few hoops, such as enrolling in direct deposit and making a minimum number of withdrawals each month. They want you to become a full-time banking customer. If you’re willing to do so, you can earn a slightly higher interest rate (although typically the interest is only paid on amounts up to $10,000 – $25,000). Find a Savings Account Hack. If you’re really willing to put in the work, you could open ten accounts and set up the necessary system for earning 5% on prepaid debit cards. There’s almost always some savings account hack out there that will get you a better rate. I’ll admit to being a big fan of stuff like this in my 20s. Now I no longer have the time to go through the elaborate process of setting up such a system but no worries, Financial Panther tells you how to earn 5% in his step-by-step guide. Take Advantage of Sign Up Bonuses. Those that are willing to put in the time to open ten accounts to hack the savings account world are probably also willing to open up accounts and move their money around the banking system collecting bank sign-up bonuses. Here’s a list of those bonuses. Purchase I-Bonds. If your primary concern is inflation, Series I Bonds may be your best bet. I-bonds earn interest through a combination of a fixed rate determined at the time you purchase the bonds and a changing rate based on inflation. This guarantees that you’ll always see a real return on your money since the bonds will keep up with inflation plus the nominal return assured when you purchase your I-Bond. Individuals are limited to buying $10,000 per year, and the interest is subject to federal taxes but will be exempt from state and local taxes. I-Bonds can be purchased directly from the U.S. Treasury at TreasuryDirect. Create a T-Bill Ladder. If you want to take advantage of the current 5-year rates for Treasury notes but don’t want to tie up all of your money in a Treasury bond for the full five years, you can create a T-Bill ladder. This works by purchasing five separate Treasury bonds that mature at different terms (1-year, 2-year, 3-year, etc.). As each bond matures, you replace it with a 5-year bond such that after five years you have five separate bonds with a single bond maturing each year. Here’s a visual guide to building a Treasury Bill Ladder. Make a Secured Short-Term Loan. If you want to keep your money liquid, there are platforms where you can make a short-term loan and earn a decent return in the process. PeerStreet is a lending company in the real estate market. 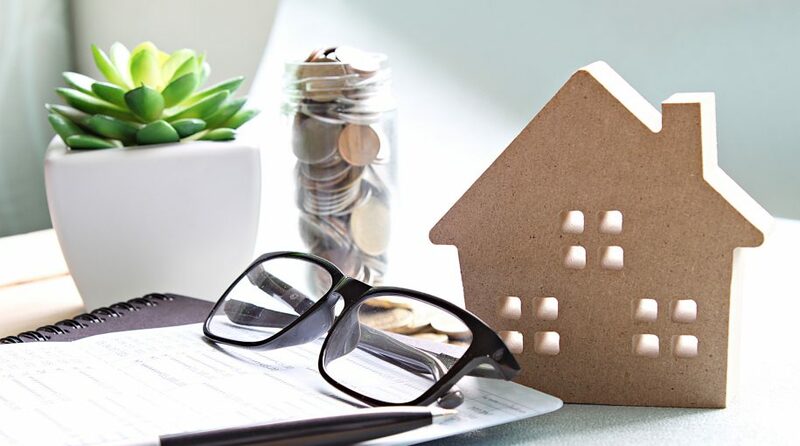 They offer 30-day notes that typically earn 3% and have the benefit of being contractually tied to actual real estate investments making them more secure than a typical unsecured loan. Check out their platform to see a list of short-term notes. Try Peer-to-Peer Lending. You don’t hear as many people talking about peer-to-peer lending these days, but that’s also a viable option for short-term lending. If you’re willing to make unsecured loans to individuals, you can collect more interest than some of the other options in this article. Take on Government Bond Risk. If you’re willing to take on the risk that interest rates may rise in the future (and therefore push the value of your bond downward), there’s always the bond market where you can look for a lower return. In particular, municipal bonds are often tax-free, which can be attractive if you’re in a high-tax state with a larger income. For instance, Vanguard offers a New York municipal bond fund that is both federal, state and local tax-free for New Yorkers. Vanguard classifies this as a three on the 1-5 risk scale though, so don’t think you’re getting a free lunch. Bonds can quickly go down in value. Take on Corporate Bond Risk. If you’re looking for a higher return that you can get by lending to the government, perhaps the short-term corporate bond market makes sense to you. You’ll still be subject to interest rate risk, and bonds can easily go down in value, but you’ll potentially get a higher return than if you invested in government bonds since corporate lenders typically have more credit risk. Here’s an example of a short-term Corporate Bond Index Fund. Take on Bond/Stock Risk. Willing to accept considerable risk that your savings could see a reduction in value? Many index funds offer you an investment opportunity in a mix of bonds and stocks. If you assume that the amount of your bonds could decrease by as much as 10% and your stocks could drop in value by 50%, you can do some back-of-the-envelope math to see how much a 20/80 stock and bond index fund might decrease in value over the coming years. The good versions of these funds invest in the entire bond and stock market, so your returns should mirror those of the market as a whole. Keep 90% in Cash, Put 10% in VTSAX. The bond market is complicated and subject to the risk of rising interest rates. Those that want to skip it entirely could keep 90% of the savings in an online savings account and put 10% in an equity index fund like Vanguard’s Total Stock Market (VTSAX). This has the benefit of guaranteeing 90% of your principal from loss and exposing you to what should only be around a 5% loss if equity markets tank and lose half their value. If you earn 1.45% interest on the 90% that’s held in a savings account and 8% on the stocks, you’ll eek out a 2.105% return overall. That’s not too bad for holding an investment where 90% of your cash is safe. Keep 80% in Cash, Put 20% in VTSAX. If you’re willing to take on the risk of losing up to 10% of your portfolio, try and 80/20 split between a savings account and the equity markets. If you earn 1.45% interest on the 80% held in a savings account and 8% on the stocks, you’ll see a stronger 2.76% return. Pay Off Mortgage Debt. Your mortgage is essentially a negative bond that you’re holding, where you’re the party responsible for paying the interest to the bank. By paying down your mortgage, you’ll be reducing the amount of interest you have to pay to the bank. But what if you need the money in the future? You could always take out a home equity line of credit in the future or refinance your existing mortgage to take equity out of the property. This may not be an ideal option if you genuinely need the money in the short term, but people often forget that they can get a pretty decent return by paying off their mortgage. Contribute to a Roth IRA. How does contributing to a retirement account work as a solution or a short-term investment? Many people forget that since your Roth IRA contributions are made with after-tax dollars, there is no penalty or fee for withdrawing your Roth IRA contributions before you turn 59.5. It’s only the earnings that are subject to the penalties. The Roth IRA is merely a suitcase that holds your investment, so it’s entirely possible to make contributions to your Roth IRA and then invest it in any of the options available on this page. Keep in mind that Backdoor Roth IRA contributions aren’t contributions, so they are subject to a different set of rules when it comes to withdrawing. For more investment solutions, visit the Advisor Solutions Channel.